Look at the low price for such a large promotional umbrella, and the huge choice of colors including khaki panels adds more of a twist. 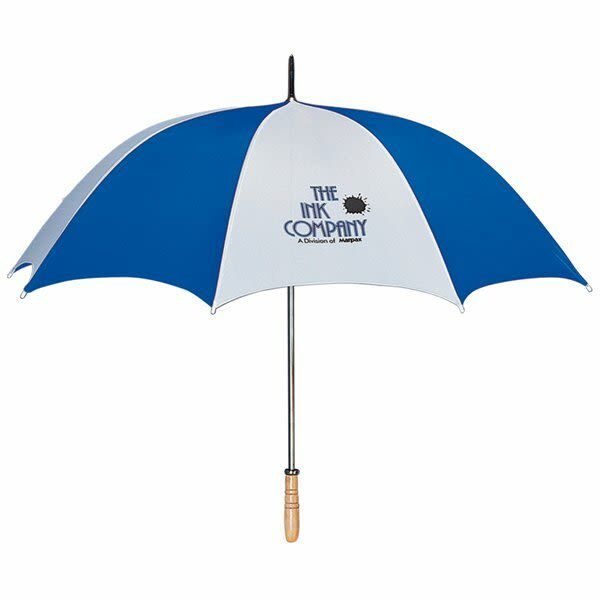 A great nylon golf umbrella with metal shaft and wooden handle. Measures 40 inches long when closed. 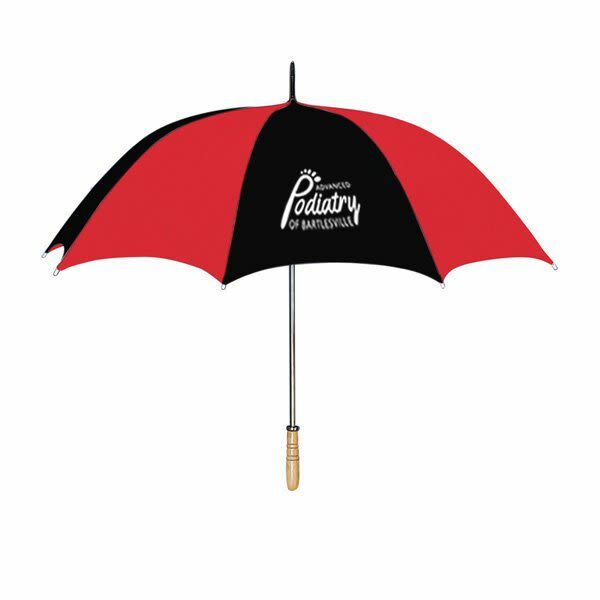 Your price includes a one-color imprint on one panel. 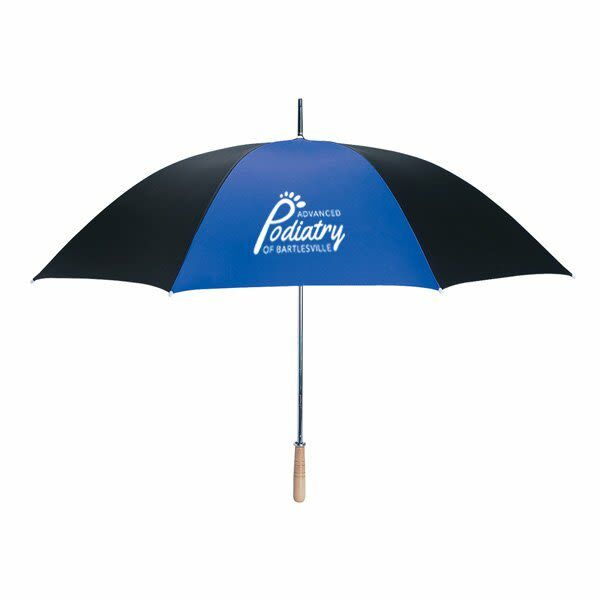 Multi-color, multi-panel, and full color imprints are available for an added cost. Please call for more information. 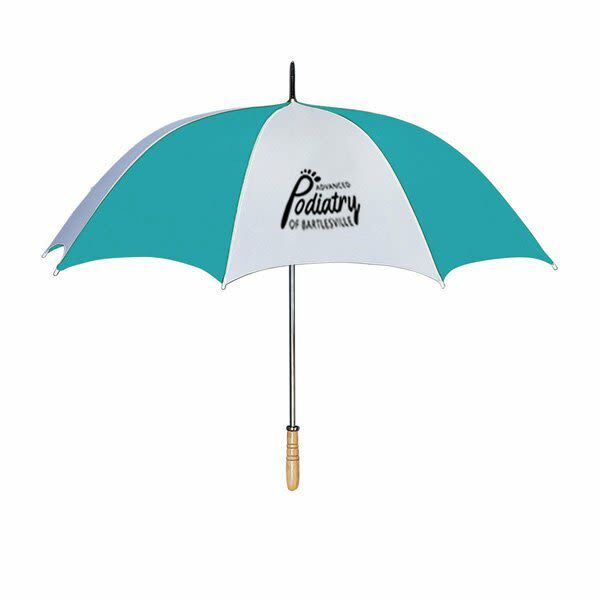 This promotional umbrella is a great deal for its 60 inch arc size and comes in an array of colors featuring solid and two tone options. 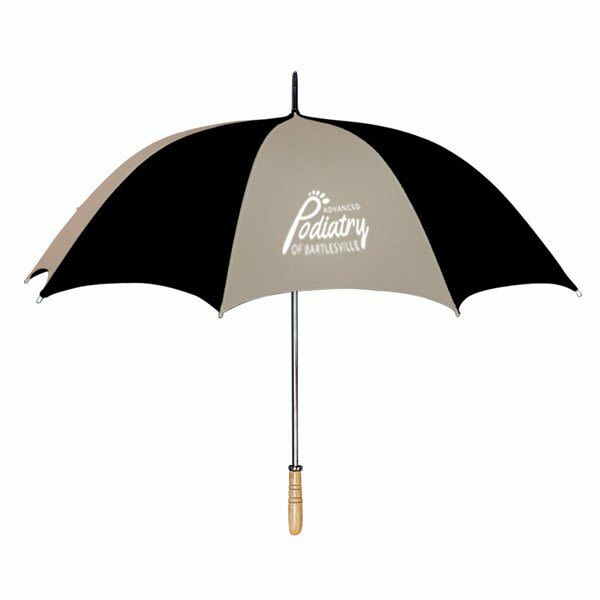 Its metal shaft makes it durable, but the wooden handle adds class and style. A useful giveaway for any outdoor event, custom product stands out from our other umbrellas because it has the look of a designer umbrella without the high cost. As they reuse it over and over again and share with friends or family, the logo on top will be making the rounds to promote your name. 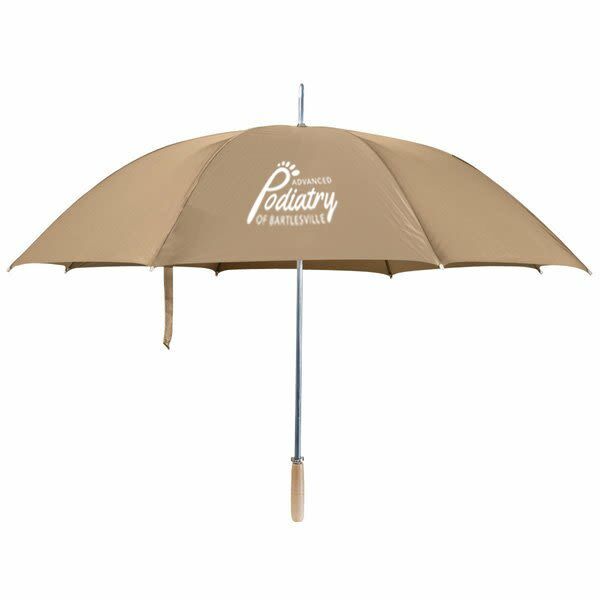 Because of its classy wooden handle and large 60 inch arr, this custom umbrella fits well with formal outdoor events. Arm the parking staff at resorts or banquet halls for covering men and women in formal attire as they arrive in limos to enter the venue. 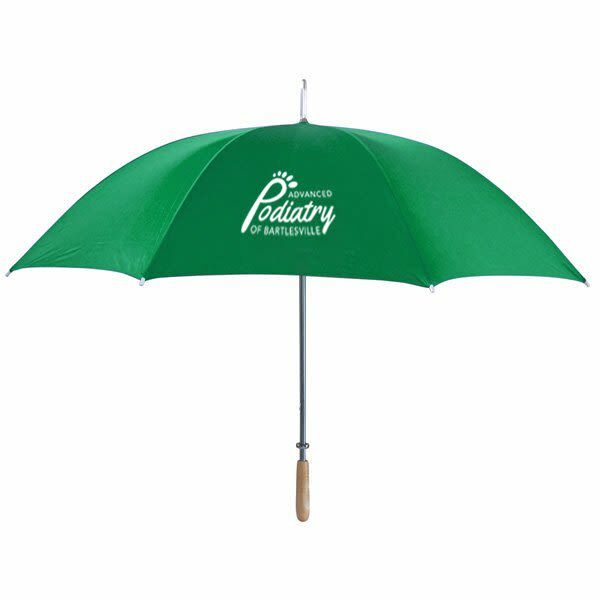 Have them ready for important donors at fundraising events, or for churches who want an elegant look with a large amount of coverage for elderly members who need assistance. 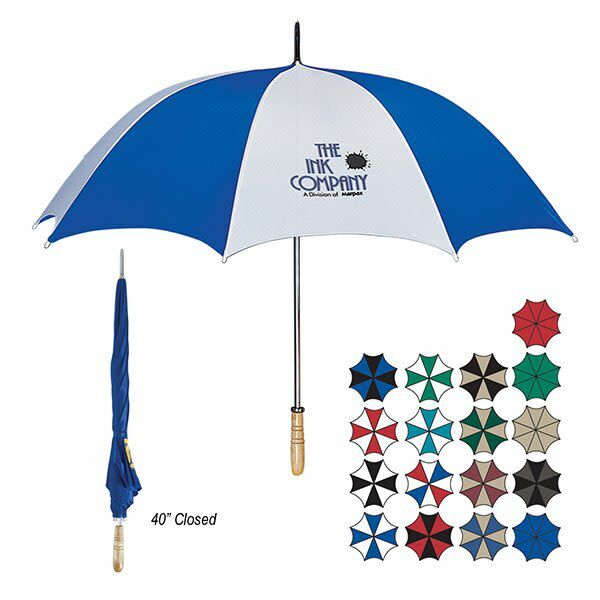 With a wide selection of colors, the perfect look for your logo is easy to find. 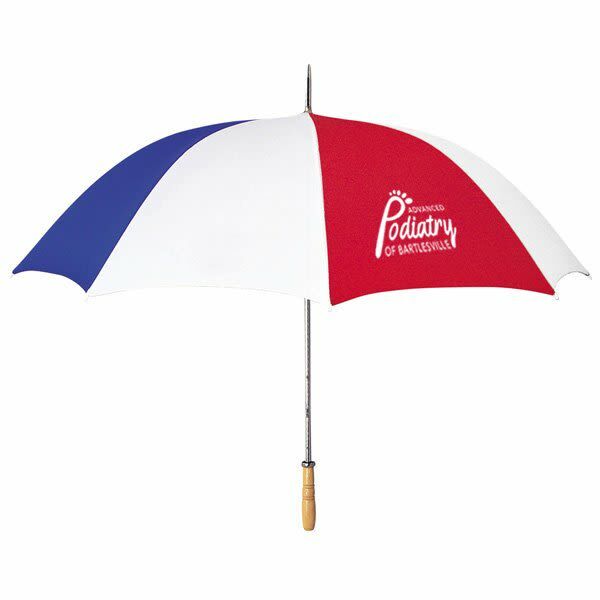 At 4AllPromos, we can work with you to design a promotional umbrella product that will enhance your brand’s name and reputation. Please call us with questions or for more details.